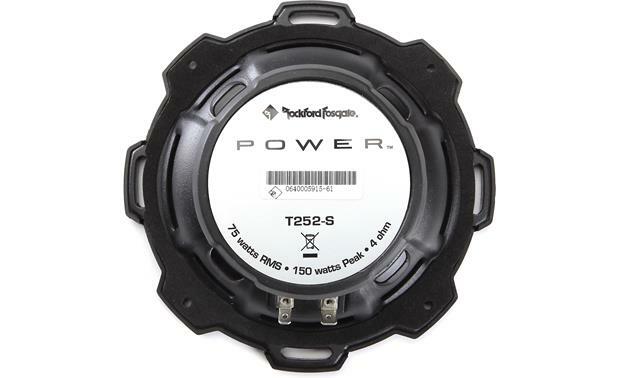 Rockford Fosgate designed the Power T252-S component speaker system for audiophiles with a penchant for crisp sound. 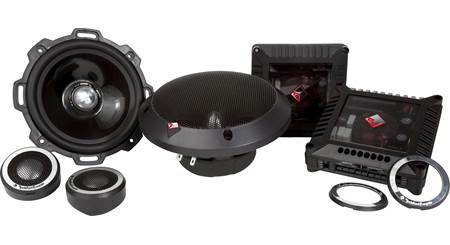 Rockford Fosgate designed the Power T252-S component speaker system for audiophiles with a penchant for crisp sound. 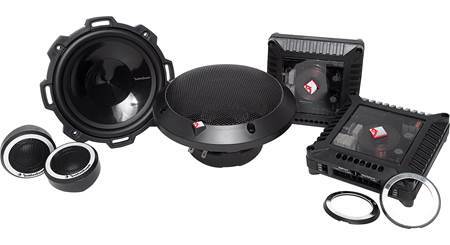 Each 5-1/4" woofer features a responsive carbon fiber/polypropylene cone and rubber surround that'll stand up to hours of high-volume jams. 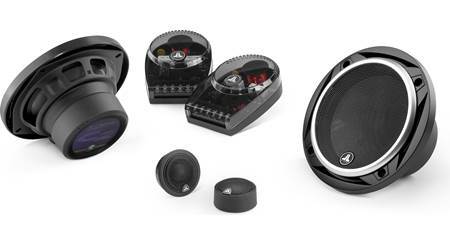 The separate 1" aluminum dome tweeter provides extended highs with phenomenal detail, even when the bass gets heavy. 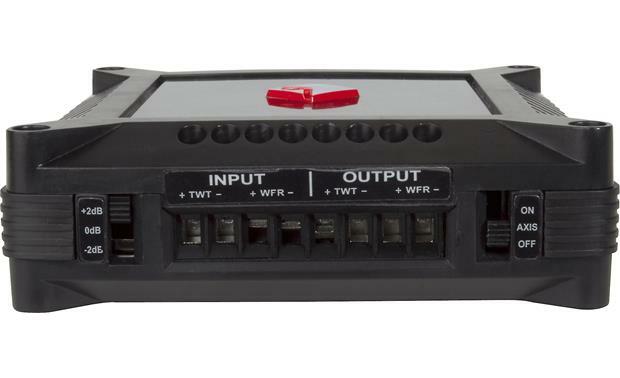 The included external crossover network with its high-quality capacitors sports selectable tweeter levels and on/off axis switching, allowing you to sculpt the high frequencies to your car's interior. 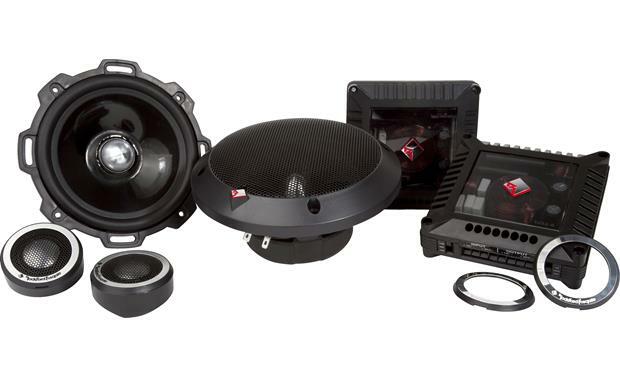 These components handle up to 75 watts RMS, and you'll want to power them with an outboard amplifier for maximum performance. 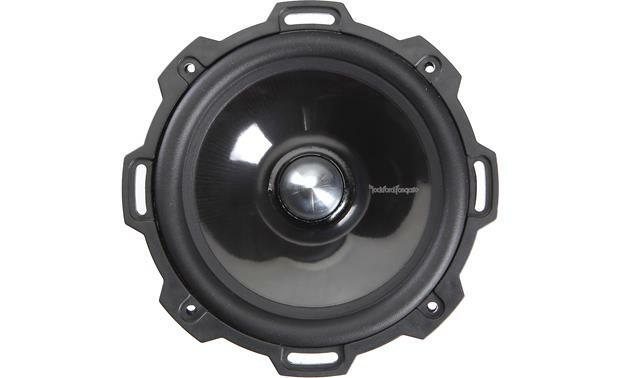 Proprietary VAST™ technology increases the woofer's cone area without increasing the size of the basket, giving you deeper lows and more power handling. 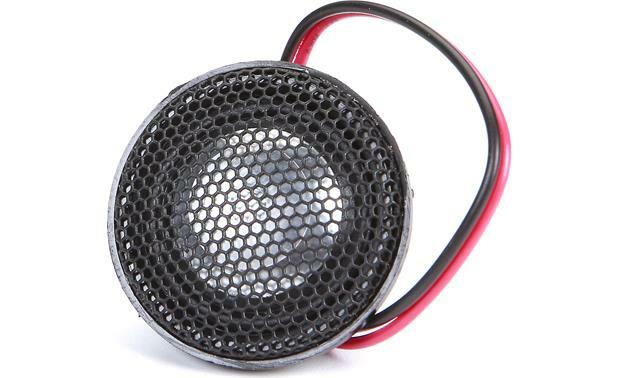 And open slots on the heavy-duty aluminum frame make it easier to install these speakers if the factory holes are slightly off, especially in certain European imports. 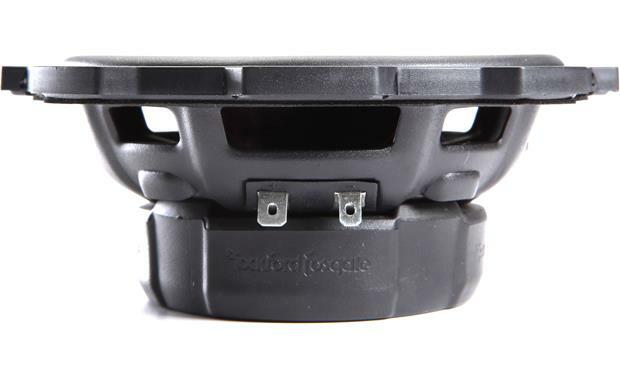 Rockford Fosgate helps you out with the tweeter installation by giving you a recessed mount that fits a standard 1-3/4" saw hole. You also get a 6" x 9" adapter bracket for larger openings. 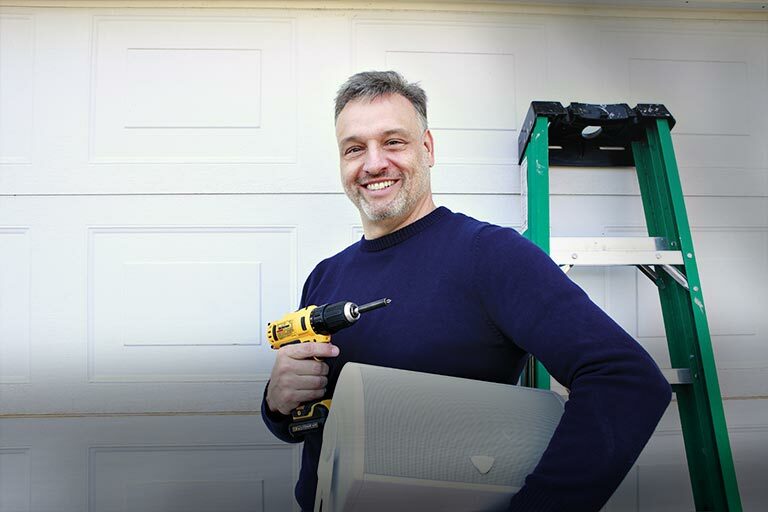 Installation note: You may need a pair of our universal backstraps to install the tweeters in the factory locations. Rubber Surrounds: The butyl rubber surrounds dampen unwanted harmonic distortion while maintaining linear geometry under extreme weather conditions. 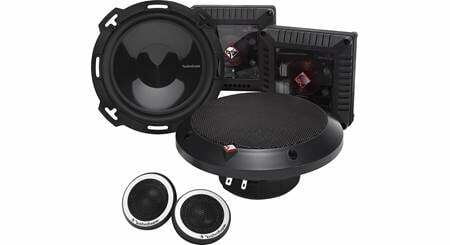 This leads to less distortion, superior frequency response, and superior durability. Multi-OEM Adapter: For mounting flexibility, the included brackets allow installation in 6x9 applications. When using the brackets the mounting height is 0.607" and the depth is 1.791" (top mount). Mounting Height 0.4" 1.06" 1.35"
Frame Width N/A 2.13" 2.141"
Frame Depth N/A 2.16" 2.155"
Specifications: The crossover slope is 18 dB/octave high pass and 12 dB/octave low pass. The crossover point for both is 3.5 kHz. 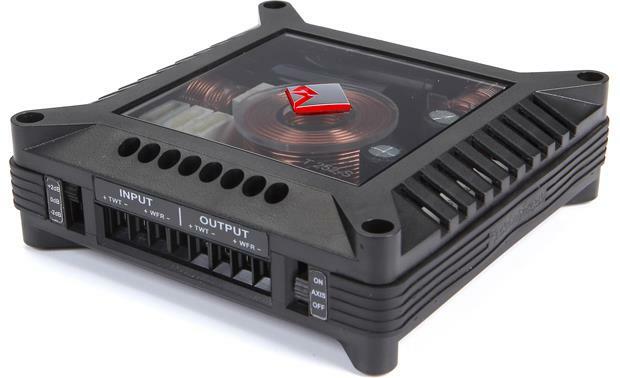 What would the rms power be when you bi amp the compoment system...would it be 37.5 watts? 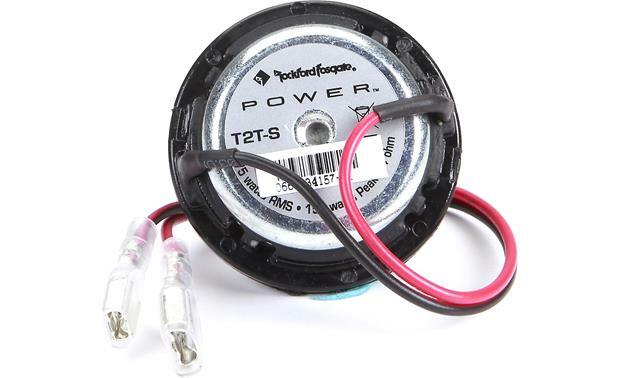 Searches related to the Rockford Fosgate T252-S Power Series 5-1/4" component speaker system.